What often goes unremarked in accounts of this research is that at the time “almost all of the African American dolls on the market were modeled after racist stereotypes,” as Emily Temple notes in an article on LitHub drawing on the work of historian Gordon Patterson. "Those that weren’t" caricatures "were just white dolls that had been painted brown.” This had been the case for two centuries, as Collectors Weekly explains. 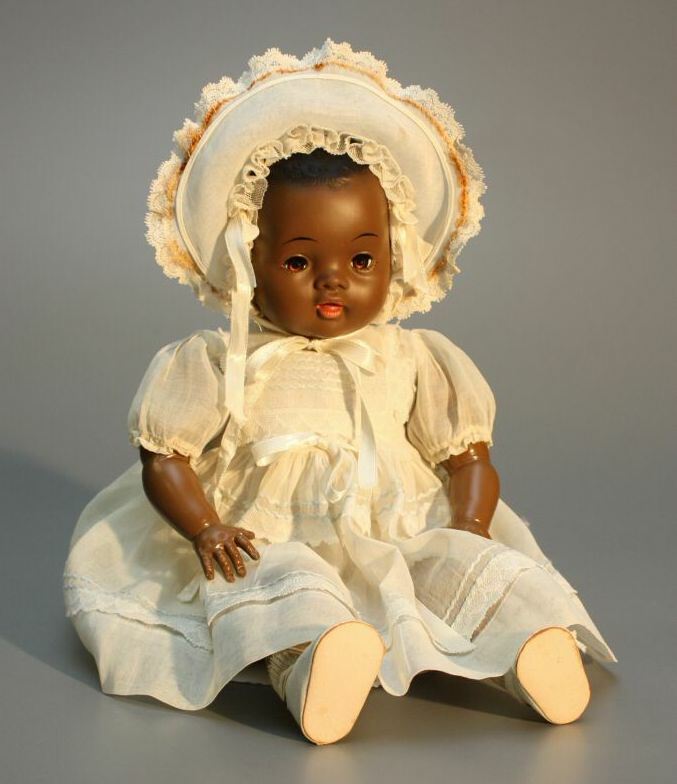 Black children had been internalizing racism—learning to associate positive attributes with white dolls and negative attributes with black dolls. The Ideal Toy Company—founded by the creators of the first mass-produced Teddy Bear—took on the enterprise of manufacturing the doll, named Sara Lee, selling the toy between 1951 and 1953. It was the first attempt to mass-market a realistic African American baby doll. She first appeared in the 1951 Sears Roebuck Christmas Catalog. Major magazines like Esquire, Life, Time, Ebony, and Newsweek announced the doll’s arrival, but sales were eventually disappointing due to manufacturing flaws. I am thrilled to hear of this history, this collaboration, but let us not forget Jackie Ormes “Patti-Jo” dolls that first appeared four years earlier. Jackie was the first African American woman to have a syndicated cartoon strip. Her sassy little sister, Patti-Jo, came on the market at the heels of the popularity of the comic strip.